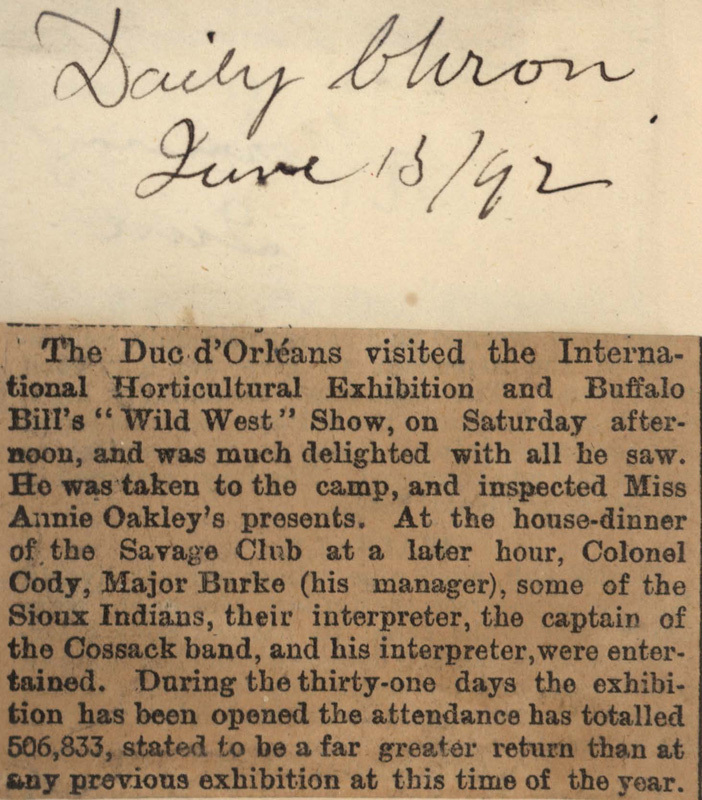 The Duc d'Orléans visited the International Horticultural Exhibition and Buffalo Bill's "Wild West" Show, on Saturday afternoon, and was much delighted with all he saw. He was taken to the camp, and inspected Miss Annie Oakley's presents. 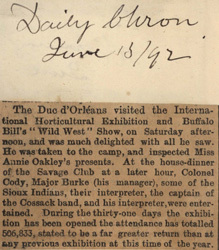 At the house-dinner of the Savage Club at a later hour, Colonel Cody, Major Burke (his manager), some of the Sioux Indians, their interpreter, the captain of the Cossack band, and his interpreter, were entertained. During the thirty-one days the exhibition has been opened the attendance has totalled 506,833, stated to be a far greater return than at any previous exhibition at this time of the year.